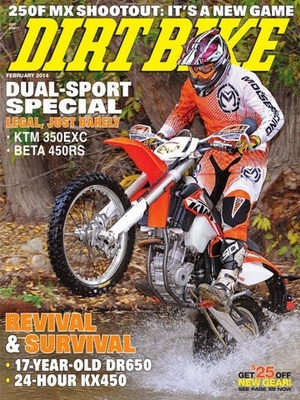 Magazine covers the entire world of offroad motorcycling. It’s the title in the field (and has been for over 40 years!). 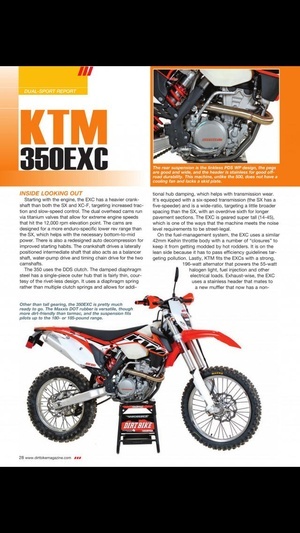 We ride and test of the latest bikes, as well as all of the hopup parts and accessories made to upgrade your bike and help you go We tell you what the hot setups are for every bike available. 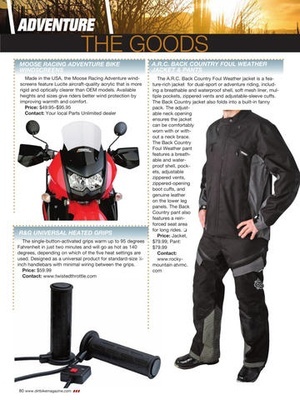 We cover in the sport Moto, desert, woods, dualsport, and adventure bikes too! We give you howto's on setting up and repairing your bike, and riding tips from the top riders. 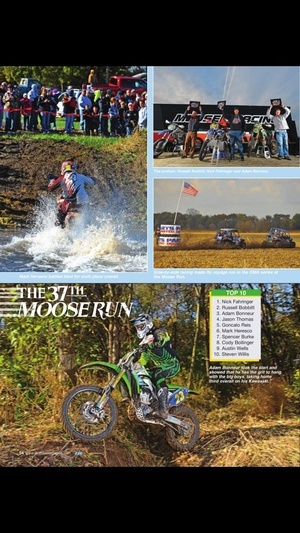 All this, plus complete race coverage, from and EnduroCross to the and series. 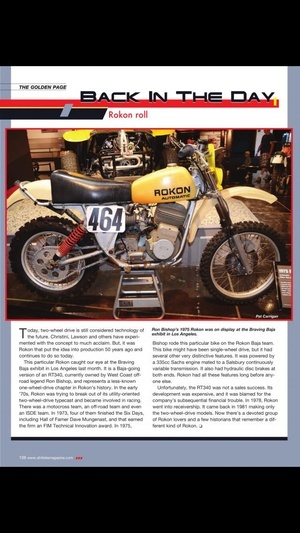 See what's happening in the offroad world. This App gives you the mobile flexibility to read and purchase issues and download to your device. 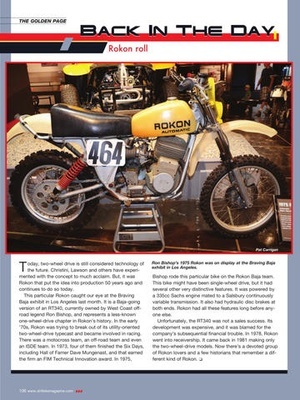 Issues purchased in the App have enhanced features, including special video coverage on races, bikes, products, plus links to all manufacturers' websites. 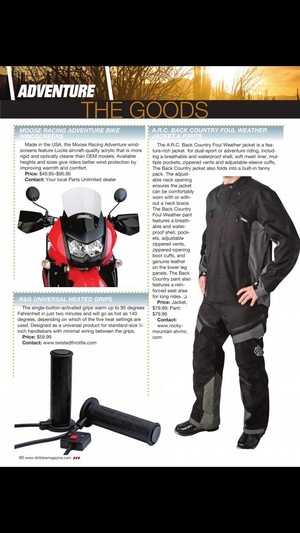 12 issue subscription (one year) for $8.99. 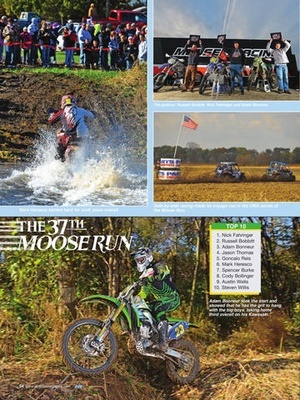 Download the current issue or back issues for $2.99 each. This application is powered by GTxcel, a leader in digital publishing technology, provider of hundreds of online digital publications and mobile magazine apps. 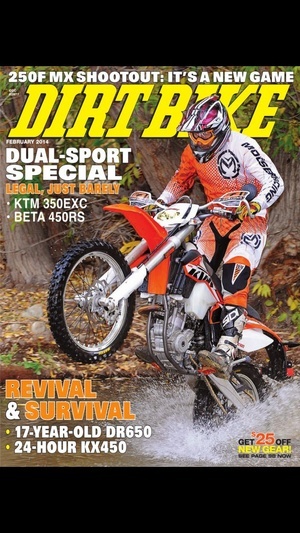 1 year subscription for $8.99 or a single issue for $2.99. Subscriptions will start from the most current eCommerce enabled issue going forward for one year from the date of purchase. Your subscription will automatically renew via your app store account 24hours prior to the end of your subscription at the rate of $8.99 for one year. You can turn off the autorenew feature up to 24hours before the end of your subscription by going to your Account Settings after purchase. Subscriptions cannot be cancelled during the active subscription period. 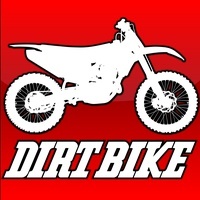 Check these links to find your download for Dirt Bike Magazine for & iOS or for your device iPod TouchiPadiPhone. 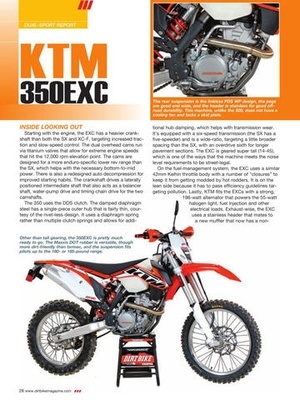 The app Dirt Bike Magazine is compatible with te following devices.